As Sony did a few days ago, Microsoft this morning revealed (on the Xbox Wire site) which digital apps would be available at or around the launch of the Xbox One. It’s a pretty strong lineup for sure, including such mainstays as Netflix, Hulu Plus, ESPN, VUDU and more. They even broke the apps down into regions to show off just how much more the U.S. owners will have access too. Xbox Fitness, Xbox Video, Xbox Music, Internet Explorer and others will be there at launch as well. All of the apps require Xbox Live obviously. The list above* is just the first wave of third-party apps that are coming to Xbox One over the course of the next few months. We will continue to announce more apps coming to the platform and both the Xbox One and Xbox 360 entertainment app portfolios will continue to grow weekly. 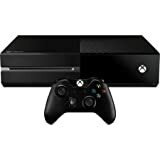 With games, multiplayer gaming, live TV and the best entertainment apps, Xbox One is the most complete entertainment system.